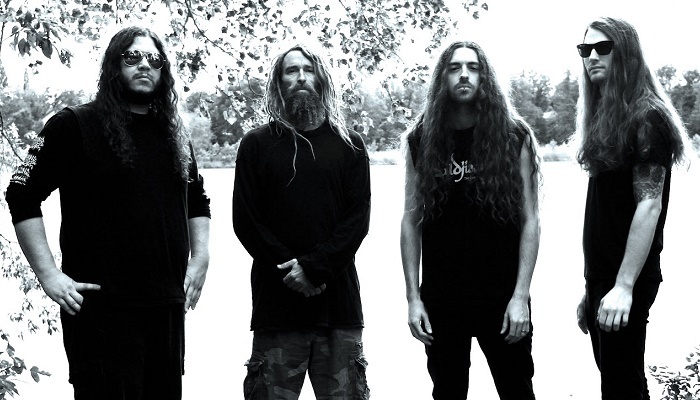 Formed in 2001, Decrepit Birth released three studio album’s to date, which got them a premiere spot on the death metal radar. Their music, infused with technical and progressive twists, managed to forge a very solid international fan base, and continues to forge their path into the future, as one of the genre’s finest bands. Awakening from a seven-year slumber, the Californians fourth offering is entwined with musical athleticism and characteristic esoteric themes. 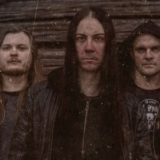 Axis Mundi is as crushing as it is cosmic. 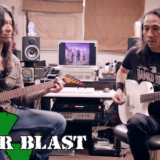 The album was recorded at three different studios over the course of a year. The clarity, the power, the musicianship, and the brutality aren’t vying for attention. They’re in absolute harmony. The guitars (tracked by founder Matt Sotelo at his home studio) are razor sharp yet spine-snappingly heavy. The drums (tracked by Ryan Forsyth at Private Ear Studios in Winnipeg, Canada) are genre-defining, recalling what Sean Reinert, Gene Hoglan, and Steve Flynn did for Death and Atheist, respectively. And the bass (tracked by Sean Martinez, also at his home studio) has a great deep-end against the ceaselessly wicked rhythms. Tracks like “Hieroglyphic”, “Spirit Guide”, and “The Sacred Geometry” wouldn’t have crushed skulls and blown minds if it wasn’t for the accomplished mixing and mastering of Stefano Morabito at 16th Cellar Studios. 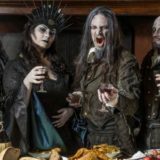 The icing on the cacke is the astonishing cover artwork that was made by renowned fantasy artist Dan Seagrave (Morbid Angel, Entombed, The Devil Wears Prada). 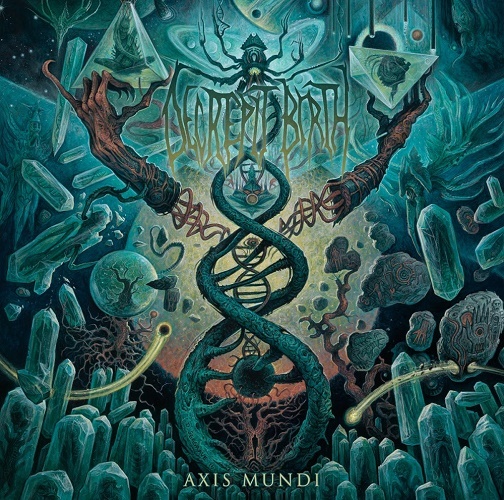 Pre-orders for Axis Mundi are available now at DecrepitBirth.net.